This week is Dementia Awareness Week 21st – 27th May. Degenerative diseases of the brain such as Alzheimer’s, Parkinson’s and Dementia are reaching almost epidemic proportions these days, and many of us have been ‘touched’ by this epidemic through friends and family who suffer, or have died, from these conditions. 30 million people are affected by Alzheimer’s globally and this is likely to rise to 160 million by 2050. It is the 3rd leading cause of death in the USA and the leading cause of death for women in England and Wales (2nd for men). Conventional thinking is that these diseases are either an inevitable part of growing old, or due to a genetic fluke, or even just bad luck. It is now becoming more accepted, however, that diet and lifestyle can have a huge impact on brain health. Indeed where once we thought that brain cells, once lost could not be replaced, we now know that the process of neurogenesis – creating new brain cells – can be increased by three to five times at any age, and the food we eat and the exercise we take can either protect us from, or speed our route to, developing cognitive decline. Eat plenty of vegetables (at least 5 portions – a palm-full of each – per day not including potatoes) and no more than 2 low sugar fruits (e.g. berries, citrus, apples, pear) per day. The antioxidants in fruit and veg help protect the brain against damaging free radical activity. Eat less sugar and refined carbohydrates. As far back as 2005, studies began to appear which revealed a correlation between insulin and brain cell deterioration. Research now shows that insulin resistance may be one of the major factors that starts the brain damage cascade. Cut out high sugar/carb foods such as cereals, pasta, white rice, bread, biscuits, dried fruit, sugary drinks and replace with good quality protein, healthy fats, veggies and moderate amounts of complex carbohydrate. Reduce “AGEs” in your food. Advanced Glycation End Products (AGEs) are substances naturally produced in our bodies and our food, however, if we are exposed to excessive amounts they can cause damage and destruction to all bodily tissues and cells. 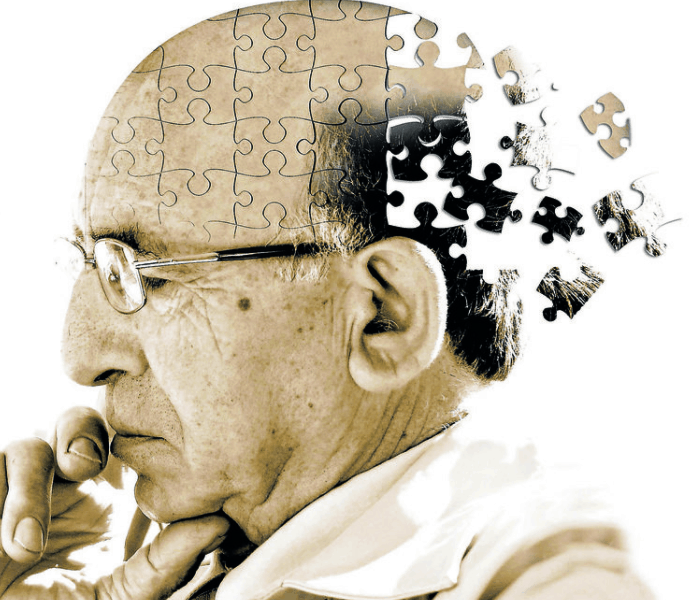 Research links excessive exposure to AGEs to Alzheimer’s disease. Limit your exposure to AGEs by choosing fruits, vegetables, whole grains, beans, chickpeas, lentils, soy, tofu, milk, eggs. Avoid fast and processed foods and limit poor quality animal-derived products and processed fats. Avoid high temperatures dry heat cooking methods such as roasting, grilling, chargrilling, frying, deep-frying, broiling and BBQ. Acidic ingredients such as lemon juice or vinegar can help to reduce AGE production whilst cooking. Eat high-quality healthy fats. Fat is really important for brain health and the Omega 3 fats are particularly important for the brain as well as for heart, joints, hormones, metabolism, mood, energy, skin, hair etc. Eat smaller oily fish such as sardines, pilchards, trout, plus flaxseed, grass-fed beef, chickens & eggs, avocados, nuts, seeds, coconut oil, and/or consider a good quality Omega 3 Fish Oil supplement. Avoid highly processed, refined vegetable oils, such as sunflower, canola/rapeseed etc. Avoid alcohol. Even moderate alcohol consumption reduces neurogenesis by 40% and also decreases BDNF. Keep your brain engaged and active. Rather than sitting in front of the telly, do crosswords, puzzles, play chess or bridge, get a “mind game” app. Finally – exercise. There’s no getting away from it – Exercise is really important to support optimal cognitive function by increasing flow of blood and oxygen to the brain, improving coordination, mood, insulin sensitivity and keeping weight down.